Infuse tea in the boiled water, leave for 5 minutes, remove teabags and leave to cool. Cut lime, lemon and orange into thin slices and wash mint. In a jug pour cooled tea and add lemonade. Add the slices of lime, lemon and orange. Add mint leaves and stir once more. This can be altered to make an interesting adults only drink. 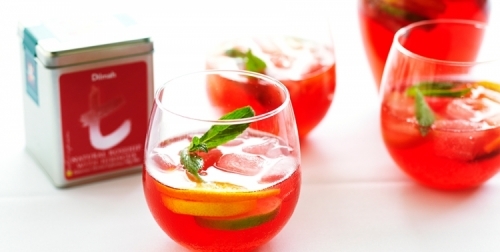 For brunch add some bubbly or for a fun tea-inspired punch add vodka and Chambord.